This is by far the best book in my homeschooling library. It is incredibly rich in resources and information. The mother-daughter team behind the book are blessed with the ability to communicate in a clear and concise manner, which is evident, too, in their other books. (I'd highly recommend their Parent's Guide to Teaching Reading as well...it makes the daunting task of teaching your kids to read a SNAP). They provide numerous good reasons for adopting their classical approach to education...and, more importantly, they present it in such a no-nonsense way that you are not overwhelmed...but rather find yourself thinking "Hey, I think I can actually do this!" Coupled with the aforementioned resources, it makes this educational path a realistic option for even the busiest homeschooling family. While they come from a Protestant Christian background, I think you will find the book to be religiously unbiased, appealing to both Christian and secular readers in a totally non-offensive way. I've read critiques of this book that knock it for strongly recommending the authors' own curricula. But, if you take the time to actually look through their curricula (again, the reading program...also Language Arts and History), you'll see that their programs are challenging and intelligent. In other words, they should recommend their own stuff because it's THAT GOOD. Plus, they don't exclusively recommend their own programs....they list a slew of other options (including the benefits of said other programs). This book is a complete curriculum guide for homeschooling your children using the classical model of education. It's a lot to take in because it covers everything from preschool to grade 12. I would suggest looking through the whole thing and then focusing on just where your children are now, because you'll try to do too much at once. This is thorough, informative, encouraging, at times quietly humourous, and comprehensive. It's twelve years of material in one volume. I'm not sure that anybody could possibly follow EVERYTHING suggested - and the authors candidly agree with me - but it's a great place to start. I wish I could report more on how the book has worked for me, but my children are too young yet. However, I have started to collect some of the materials that the authors recommend. 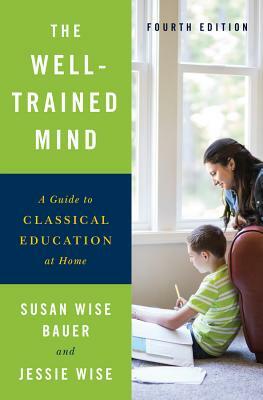 If you are thinking about homeschooling, and the classical method in particular, check this one out. Just don't make any other plans for the evening. This book has been a most valuable resource for homeschooling! I use it weekly.